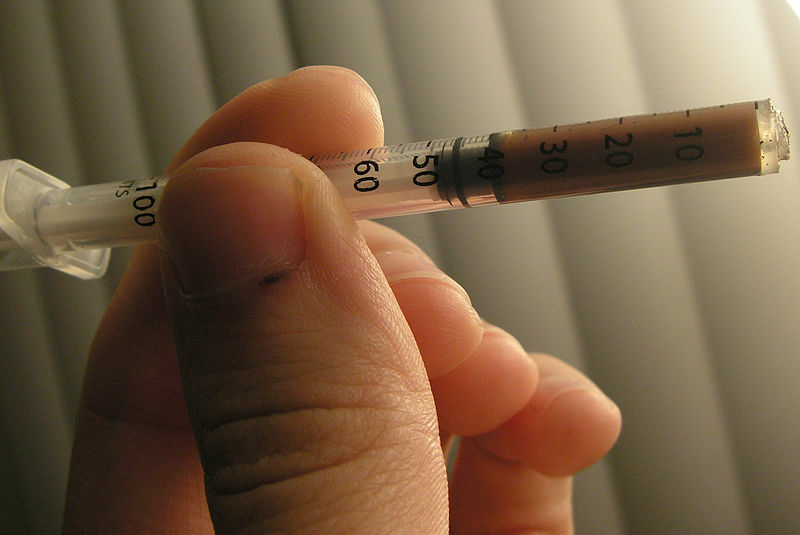 Please note: This is a follow-up to the post titled “What We Can Learn From Drug Addicts and Alcoholics” — but it can be read on its own. Man’s soul is a vast cavern, bigger by far than anything in the created universe. It is made for God as a lock is made for a key, an outlet for a plug, a certain kind of hat for a certain-shaped head, etc. Any time we try to hook our infinite desire for God onto something less than God, inevitably it fails to satisfy. The very beautiful and exceptionally talented Julianne Moore took home her first Academy Award this year, after four previous nominations. 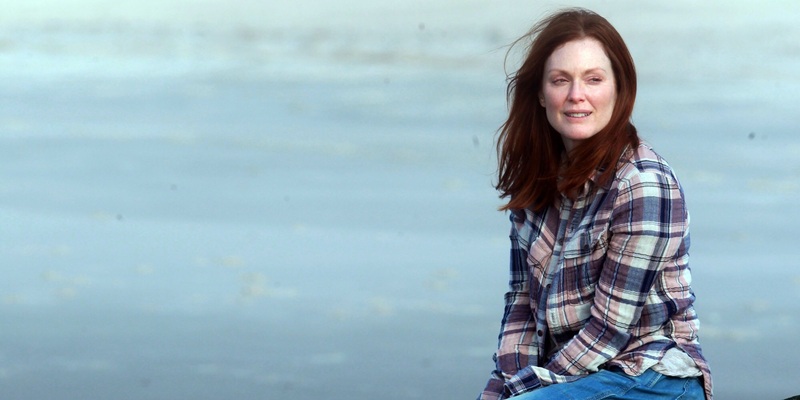 Among the many worthy roles she has filled, that of Dr. Alice Howland in Still Alice is easily the most poignant, heartbreaking, and…well, real. Howland is an accomplished linguistics professor at Columbia University and a happily married mother of three. As the film opens, we see her enjoying dinner at a first-class restaurant with her husband John (Alec Baldwin) and their three children — Anna (Kate Bosworth), Tom (Hunter Parrish), and Lydia (Kristen Stewart) — in celebration of her 50th birthday. By turns, we see her as an ardent jogger, a renowned scholar, and a “hostess with the most-est.” Throughout all this, though, we also see signs of trouble. It starts small. She forgets the names of everyday things. She thinks the people around her are talking about people other than the individuals about whom they are actually talking. She forgets the word “lexicon” at a linguistics lecture. Something is clearly wrong. She consults a neurologist, who runs some very thorough tests. After a short time, she is given the bad news: She has early onset familial Alzheimer’s disease. As the film progresses, we see Alice’s mental condition deteriorate rapidly. More painfully, she experiences it. Memory loss, and the resultant compromise affecting one’s hard-earned sense of identity, is a tragedy in all cases; and yet it is also in each case unique. Alice’s case is particularly tragic given that for the whole of her life, she has defined herself in terms of her intellectual prowess and her facility with language; now, both are being taken away from her. Perhaps this is the main factor motivating her, when she is still relatively lucid, to make a video message addressed to her “future self,” in the event that she should progress to the point at which existence becomes intolerable. She leaves instructions for finding a bottle of pills which, if she takes a large number at once, will draw her into a quick and peaceful death. You could call it a premortem suicide note. 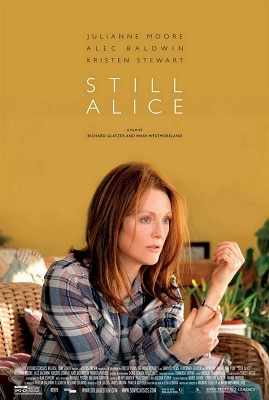 When the time at last comes and she discovers the video on her laptop, Alice quickly seeks out the pills and nearly succeeds in following through with her own advice. She is, however, interrupted by the arrival of her caregiver, and the opportunity is gone. The film ends with Alice’s daughter Lydia, who until now has lived in California pursuing an acting career, moving home to become her permanent caretaker. At this point Alice is barely able to speak, and her cognition has been reduced almost to the rudiments of mental functioning. Sitting with her in the living room, Lydia reads her the lines of a play (which she presumably once either starred in or auditioned for) in which the spirits of the departed unite in harmony to protect the world. Ok — there is a lot more to the movie than my summary suggests. But this is the “skeleton” of the film, and the material most relevant to the analysis I intend to offer. Speaking as a Roman Catholic, I am struck first and foremost by the light the final scene casts upon the rest of the film. Viewed in the right light, Alice’s journey can be seen as a human reality that, like so much else in this world, points beyond itself to something infinitely bigger, something of profound significance to the spiritual life. 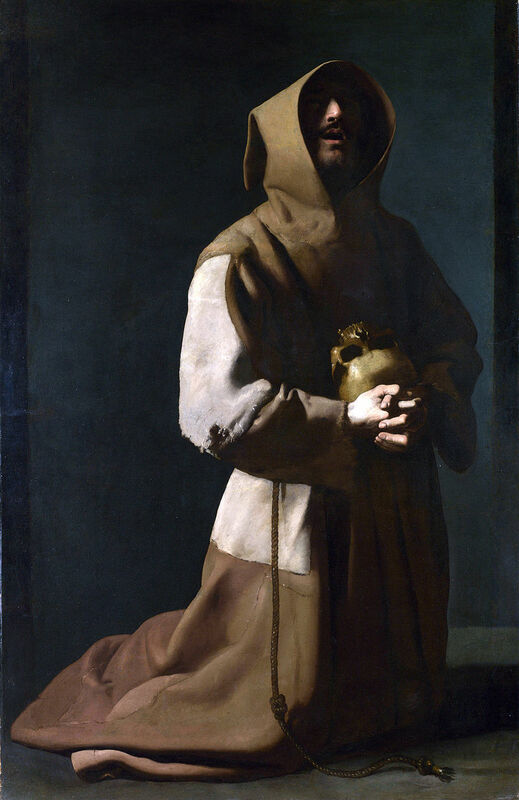 If you read the great saints and mystics throughout the ages — from St. Paul to Thomas a Kempis, St. John of the Cross, Thomas Merton, and on and on — you’ll find they all say the same thing: Once a soul has progressed to the higher stages of the spiritual life, God will put it through what is called the Dark Night of the Soul. This describes a state in which the soul is, by the invisible workings of God, stripped of all attachments and consolations, both of the senses and of the intellect…in fact, even the spiritual joys of the earlier stages of the spiritual life are taken away. It is tantamount to a forfeiture of the ego-self, along with everything it thought fundamental and defining in terms of its identity and happiness. At this point the soul stands in a sense between heaven and earth. It has not yet received — indeed, is not yet quite ready for — the joys of heaven, and yet it can no longer take delight or comfort in the things of earth. It is in this state that the soul is most fully united with Christ’s sufferings on the Cross. After this, emptied of all selfishness and all created things, the soul is finally ready to be fully permeated by the Spirit of God. From then on, the soul can truly say: “I have been crucified with Christ; yet I live, no longer I, but Christ lives in me” (Galatians 2: 19-20). But this does not amount to anything like a Christian “Nirvana.” Paradoxically, one finally discovers one’s true self in this experience, after having turned away from him/herself. For at the height of the contemplative life we become connected to that Power which not only created us, but continues to create us even now. This is also to discover at the deepest center of our own being the same Power at the deepest center of the being of all other people, and indeed of all created things. Hence, in the Lord, we find the great value of all that exists, as well as the depth of our fellowship with one another and with all creation. Let’s be clear about something: Alzheimer’s is not the Dark Night of the Soul, and the Dark Night of the Soul is not Alzheimer’s. But life here below is significant — that is to say, full of signs. And just as the health-building diligence of one who exercises strenuously is a kind of earthly sign of the spiritual diligence that ends in glory, so Alice’s case and others like it can potentially point to the salutary role of suffering in the spiritual life. And the fact that the loss of all of Alice’s faculties leaves her only with the fundamentality of love likewise points to the fact of love’s primacy as ultimate reality (see 1 John 4:8). While the majority of us will not likely reach the aforementioned height of contemplation in this life (thankfully, we Catholics believe in Purgatory), any progress in the spiritual life is priceless and expands our humanity. And suffering, borne patiently, has more power to help us along the way than almost anything else in this life. Had Alice Howland known about this, perhaps she would not have been so quick to arrange for her own suicide. Likewise, the rest of us should think twice before turning to “compassionate death” as an answer to serious suffering…indeed, even terminal suffering. For to take this route is to deprive ourselves and our loved ones of an invaluable opportunity, and to reduce the unfathomable greatness of human personhood to a form of dignity that, at best, fits an animal. Sorry this took so long, but I really wanted to make it in just one post with this one. Thanks for reading. Remaining images obtained through a Google image search. 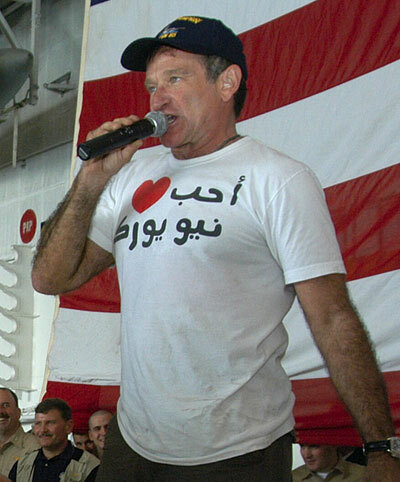 Together with millions of others, I am deeply saddened by the death of comedian and actor Robin Williams. To say that I was shocked when I heard about his apparent suicide on Monday would be an understatement; if I hadn’t put my hands on my head, I might have fallen over. I’ve been a big fan of Williams since I was about eight years old, having been introduced to his work through such family favorites as “Hook,” Aladdin,” and “Mrs. Doubtfire.” Since then, I have come to admire his incredible range as demonstrated in such films as “The World According to Garp,” Dead Poets Society,” “Good Morning Vietnam,” “Awakenings,” and “Good Will Hunting.” He was an enormously talented man, and surely his complexity as a person was mirrored in the depth and breadth of his work. And that is what makes this situation especially tragic. Suicide, the ultimate act of despair, is always a tragedy – but its sting is uniquely potent when it occurs in someone who, in life, seemed so positive, so life-affirming, so happy…someone who brought cheer and hope to many through laughter. Before I start rambling (if I haven’t already), I want to cut right to a question on the minds of many religious people: Is Robin Williams now in hell? Here is my definitive answer: I don’t know. And if you were to talk to the pope or any conference of bishops, they would have to say the same. Let me try to sum up the Catholic position on this issue as best I can. 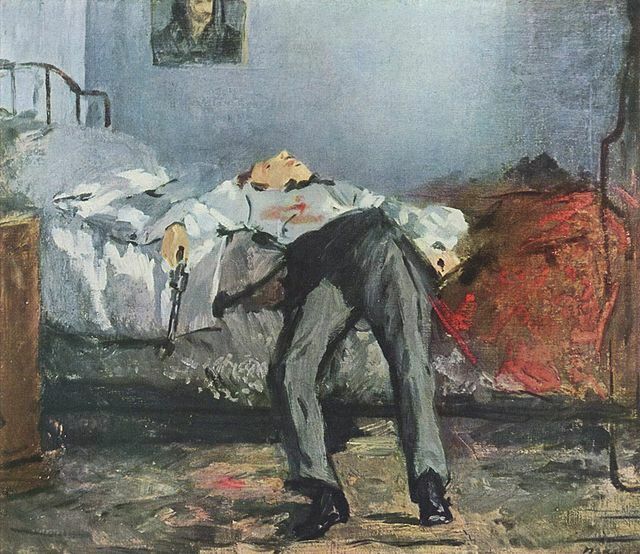 Suicide, objectively speaking, is a mortal sin – that is, a sin of the type that results in the loss of divine grace in the soul (for more on mortal sin as distinct from venial sin, click here). Why is this? In short, it is a selling-out. It is one thing to accept the fact of death, and even to surrender to it when our time comes; but to kill oneself is to choose death over life. And if we believe in existence beyond death, then we must affirm that our choice in favor of life or death carries into eternity. However – and this is very important to understand – mortal sin requires three things: 1) Serious matter (which suicide is); 2) full knowledge; and 3) full consent of the will. In other words, we have to both know what we are doing and consent to the action with full freedom. So it is not only fully possible, but probably very common for people to commit objectively serious acts, but without culpability in terms of a mortal sin…and, in some cases, perhaps even without any responsibility for their actions. 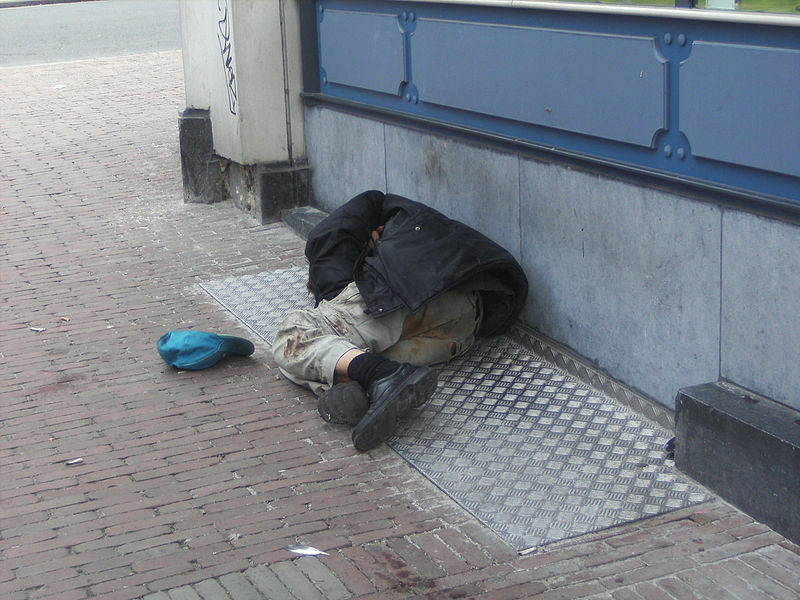 As experts will affirm, spontaneous suicides are very, very rare. In the vast majority of cases, those who commit suicide suffer from any one of a number of debilitating mental illnesses that not only impact their lives, but also severely inhibit their ability to make the right decisions. As has been widely publicized, Robin Williams suffered from clinical depression, which is a very serious condition. I think we can pretty safely assume that his freedom in decision-making was compromised. Here’s what you have to understand: Robin Williams’ situation was very unusual. From what I understand, his depression was part of a longer history of bi-polar disorder. And this was in addition to a history of addiction to cocaine, heroine, and alcohol. Pile onto that the immense pressure of stardom, and you have a dangerous situation that, thankfully, most people with a mental illness don’t have to face. Let us pray for the soul of Robin Williams, and for all of our dearly beloved brothers and sisters who struggle with these very cruel conditions. Remember, all times and places are present to God at once, since He is outside of time and space; therefore, we must never despair of our prayers being able to help even those who have left us.